And politicians want nothing to do with it. RED DEER, Alta. – An Alberta mayor has issued a statement that a Confederate-like flag that apparently was displayed during a weekend protest had nothing to do with the city. Tara Veer says some citizens have contacted the city to express concerns about the flag, and she says she shares those concerns, but that people should contact the event's organizers. Images of the flag were posted on Twitter – it appeared to have maple leaves instead of the usual stars that appear on the Confederate flags associated with the American civil war. The Twitter images appeared to show a small group of people holding the flag up as they attended an anti-carbon tax rally in Red Deer on Saturday. Some North American stores stopped selling Confederate flags last year after the man accused of killing nine people at a black church in Charleston, South Carolina, was photographed with one. Alberta opposition politician Jason Nixon spoke during the anti-carbon tax rally, and says he also spoke briefly with the people carrying the flag, who he says were apart from the main crowd. "I am sure that they would not have been welcome had they attempted to join the rally,'' Nixon said in a statement. He said the exchange lasted only a few seconds. 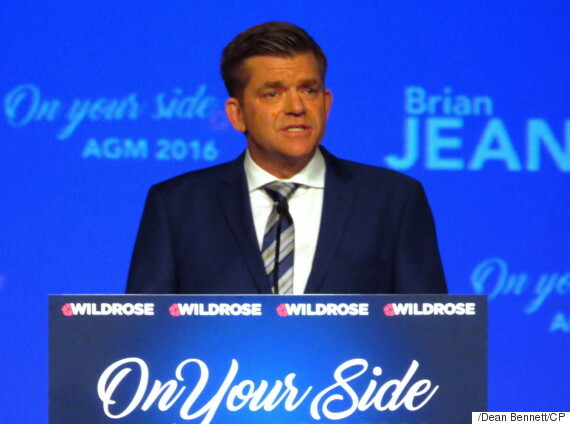 A number of members of the Wildrose opposition party, including leader Brian Jean, spoke at several concurrent rallies throughout Alberta on Saturday, but the events weren't organized by the party. Red Deer radio station CHUB reported that event organizers did not immediately respond for comment on Sunday.